I found myself at the movies last night with the premier of 50 Shades of Grey, which I had absolutely no intention of seeing. I was there to see Kingsman: The Secret Service instead. Kingsman: The Secret Service follows Eggsy (Taron Egerton), a working class English boy who seemingly has no direction in life until he is recruited to the super-secret service agency Kingsman by Harry Hart (Colin Firth). At the same time, Kingsman is investigating the activities of entrepreneur Valentine (Samuel L. Jackson). Kind of like how I knew I was going to hate Blackhat as soon as it started, I knew I was in for a good time with Kingsman’s opening scene. Kingsman wastes no time in introducing us to its main characters as we see Harry and a team of agents attempt to capture a terrorist. In fact, it’s the fact that Kingsman doesn’t do anything it didn’t need to that helped me enjoy the movie as much as I did. 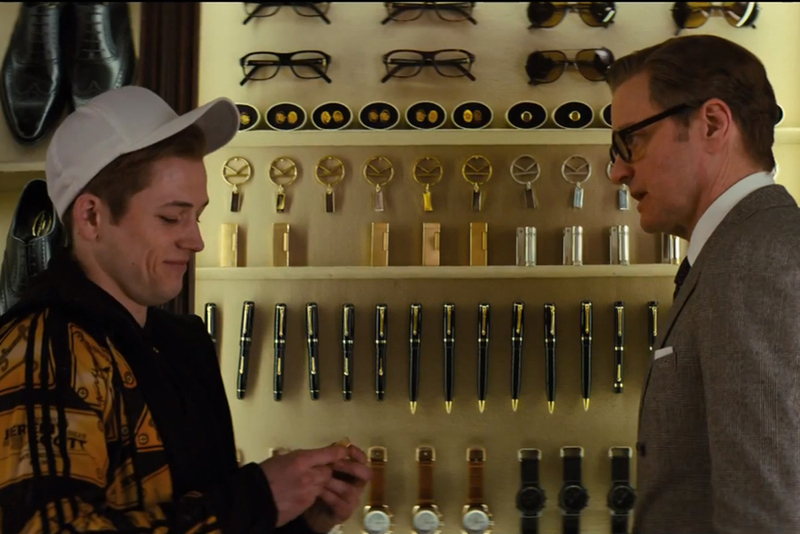 Much of the movie shows Eggsy going through his training regimen to join the Kingsman. We are introduced to fellow recruit Roxy (Sophie Cookson). While Roxy is both very pretty and clearly the female lead of the movie, I was glad to see she was neither an awkwardly forced romance for Eggsy nor was she a damsel in distress for him to save. She was *gasp* a strong female movie character. Kingsman was directed by Matthew Vaughn, who previously brought us 2011’s X-Men: First Class, and co-written by Vaughn and Jane Goldman, whose writing credits also include First Class and Days of Future Past. The movie was based on a comic book series called “The Secret Service”, and Vaughn and Goldman made Kingsman every bit as fun as a comic book-based movie should be. The cast also looked like they had a lot of fun with Kingsman. This is the movie where you’ll finally see Oscar winner Colin Firth feasting on McDonald’s (this movie had a lot of product placement) with Samuel L. Jackson. Seeing Mark Hamill on screen again is also always a good thing. As to be expected from Matthew Vaughn, the action sequences (particularly one taking place in a church) were very well-choreographed and well-shot. Kingsman in general had a very good sense of humor. I would say that Kingsman: The Secret Service was the most fun I’ve had at the movies in a while. Can’t believe I didn’t recognise Mark Hamill – FAIL! Caught up with this at the weekend and also really enjoyed it. I did think the bumsex joke was a bit out of place for such an otherwise happy-go-lucky film. How did you find the accents?